Muncie, IN—At 9am on June 15th, Sephora Inside JCPenney opened at the Muncie Mall. Sarah Osborne from Muncie was lucky enough to be first in line at the grand opening. She left her home about 5am to get to the mall. Sarah said there were a number of people who slept in their cars overnight in order to be one of the first people in line. Somehow, she got lucky to be first in line. 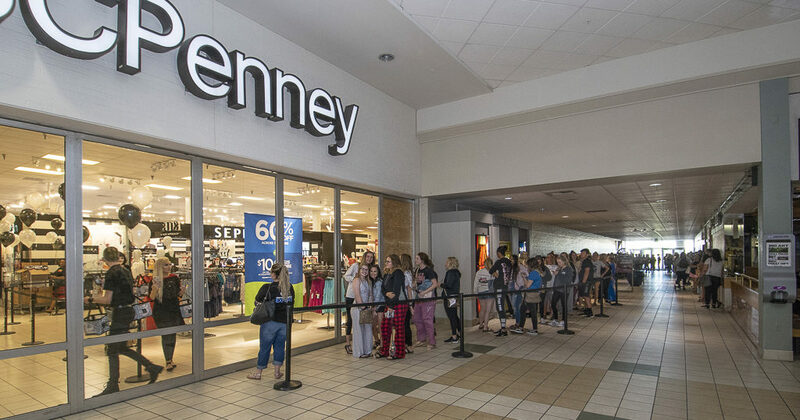 The grand opening allowed the first 100 customers to receive a stash of “Sephora Inside JCPenney” gift cards with mystery values up to $100, in addition to free gift bags stuffed with product samples. Kim Morris of 104.1 WLBC was also on-location with a live broadcast during the grand opening event. For more information on Sephora Inside JCPenney, you can visit their special Facebook page. Sephora operates approximately 2,300 stores in 33 countries worldwide, with an expanding base of over 430 stores across the Americas. Sephora opened its first U.S. store in New York’s Soho neighborhood in 1998, and its first Canadian store in Toronto in 2004. The Sephora Americas headquarters and Innovation Lab are located in San Francisco, with corporate offices in New York, Mexico City, Montreal, Toronto and São Paolo.